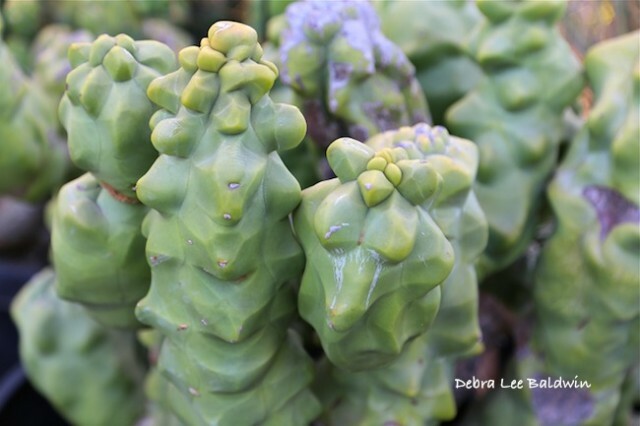 Recently at his nursery in Fallbrook, CA, succulent expert Don Newcomer showed me a rare columnar, spineless cactus from Mexico: Lophocereus schottii (totem pole cactus). 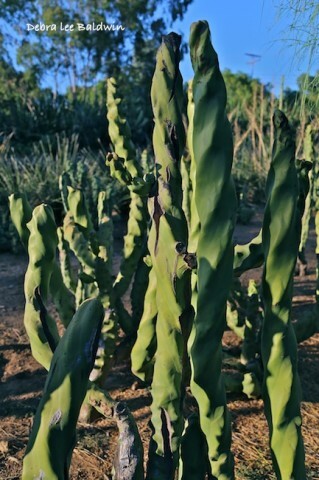 Don told me that these monstrose forms of Lophocereus schotii date to The Cactus Ranchito in Tarzana, a suburb of Los Angeles. 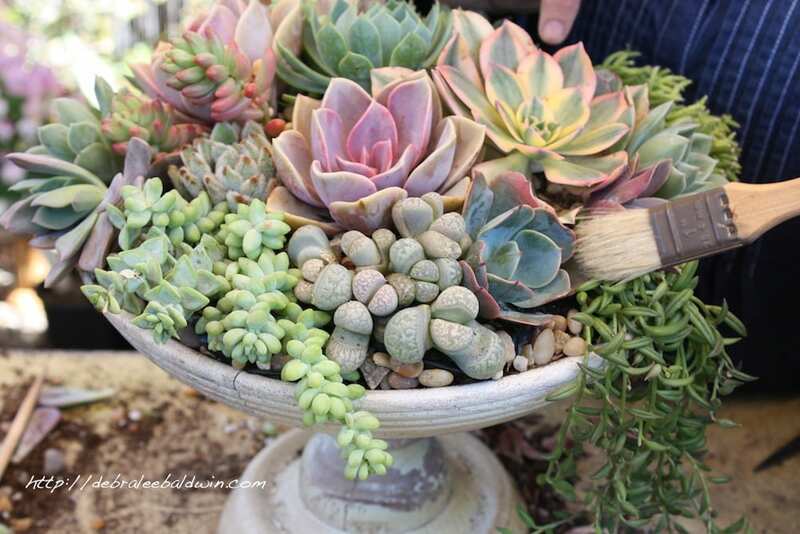 Owners Ed and Betty Gay, who introduced Don to succulents at age 14, were instrumental in salvaging unusual cacti that otherwise might have been destroyed by livestock in the plants’ native habitat. 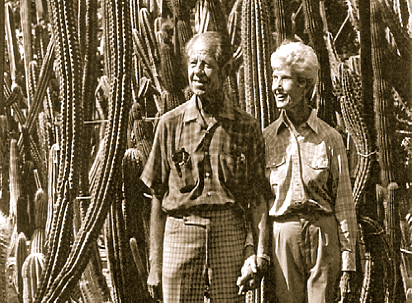 This photo of the couple is from the archives of the Los Angeles Cactus & Succulent Society. Thirty years ago, after Ed passed away, Don bought the nursery’s inventory from Betty. 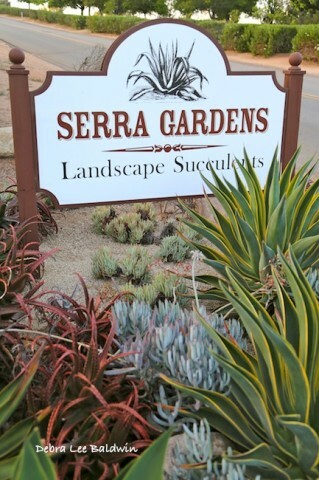 He opened Serra Gardens in Malibu, where clients included Barbra Streisand, who bought cactus to surround her property to keep paparazzi at bay. Seven years ago, Don and wife Beth moved their home and nursery to Fallbrook, a rural community north of San Diego, where it occupies three acres. 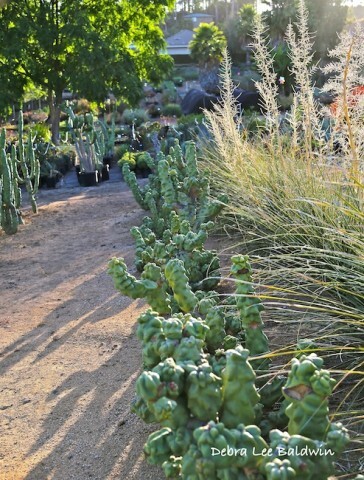 Do visit Serra Gardens if you get a chance—it’s a great destination nursery, with many more rare and unusual cacti and succulents than this. 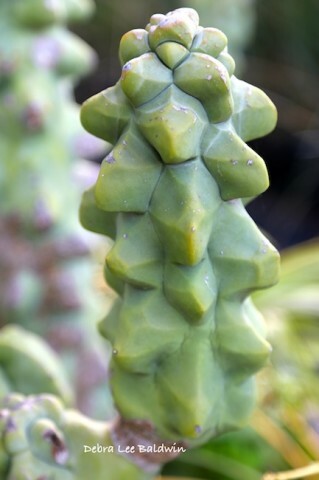 They also sell mail-order at www.cacti.com.